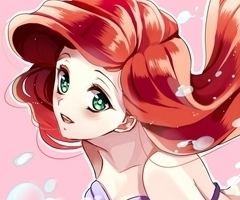 ♥ Disney Princess Anime Form ♥. Disney princess in anime form!. Wallpaper and background images in the Kawaii Anime club tagged: anime disney kawaii. Disney princess in anime form! This Kawaii Anime fan art might contain anime, comic book, manga, and cartoon.